My first thought was, this is a 'red-headed woodpecker'. After a google search, I found out it was a 'red-bellied woodpecker'. [wiki page] There actually is red on the belly, it's just very hard to notice when they are standing. This contribution photo from swc was captured a couple weeks ago. 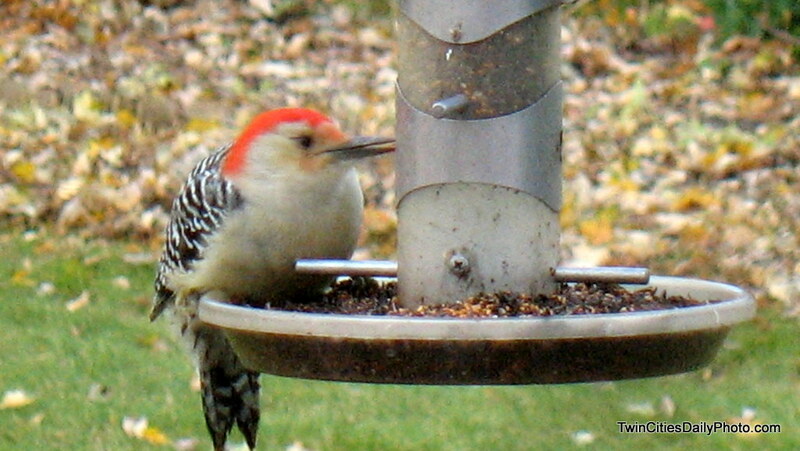 It landed on the feeder, he ran to get the camera hoping it would still be there for photographing. Luckily the bird cooperated long enough.